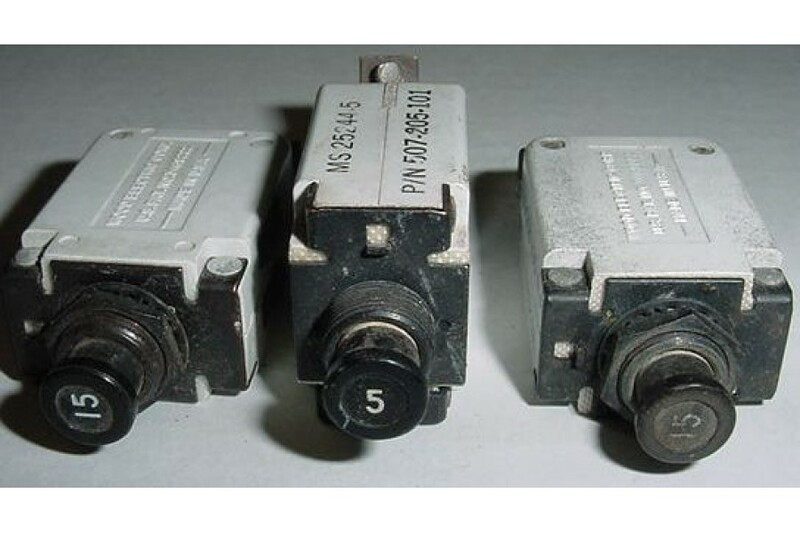 Lot of 2ea 15A and 1ea 5A Circuit Breakers. Manufactured by Wood Electric Corp. P/N 507-215-101 or MS25244-15 and 507-205-101 or MS25244-5. They measure 1 1/16" by 3/4" by 1 1/2". They were removed from a salvage aircraft.